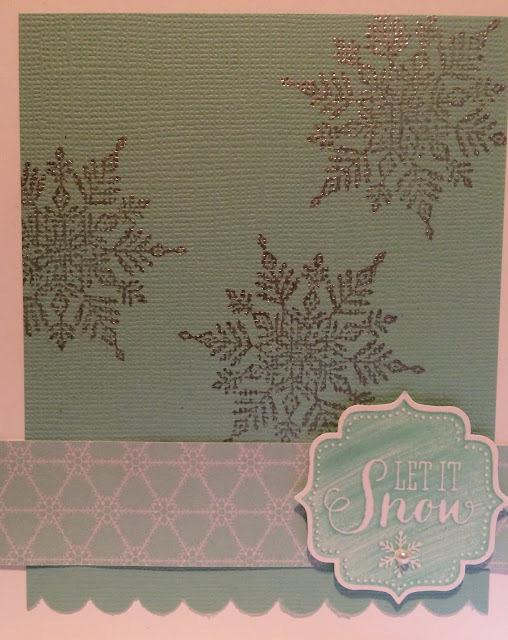 This one's going to be pushing it to make it under the deadline, so you get a quick card :) This one is one I've made many times, just changing out the colour/designer series paper so that it coordinates. I love the silver snowflakes in the background - and the subtle snow-esque 'technique' for the stamp. This was done by just swiping on a diagonal once the stamp was inked .. it was done on an old-style ink pad, but the newer ones are even juicier, so it would work on them too!